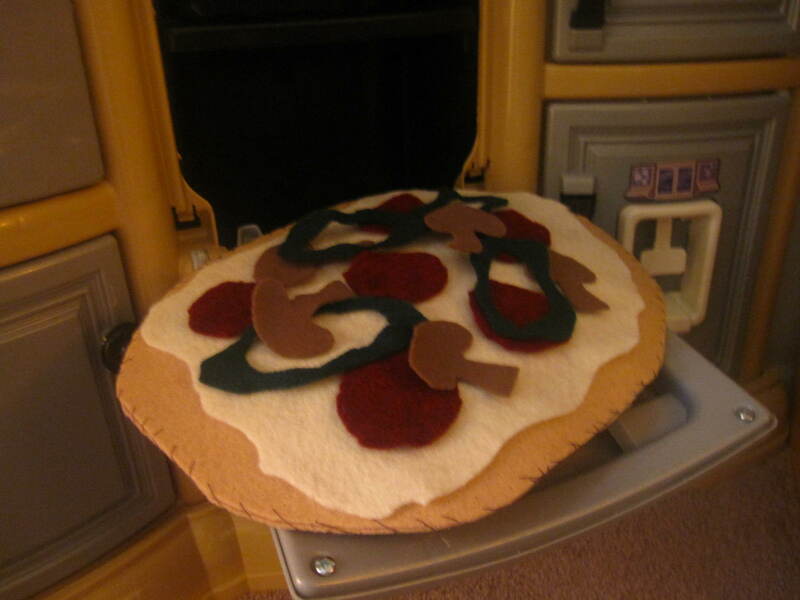 I made this pizza for Max a few months ago and he still loves playing with it. It’s super easy and cheap to make. All you need are a few pieces of felt and scissors. Posted in CraftsBookmark the permalink.